Alan Dundes, 70, professor of anthropology and folklore at the University of California, Berkeley, died suddenly and unexpectedly on March 30, 2005. He was at the height of his intellectual powers, doing what he loved most, writing and teaching about folklore. Alan Dundes was the most prolific and influential folklorist of his generation and, many would say, of all time. After studying at Yale University, where he received a B.A. and M.A.T. in English, Dundes completed the Ph.D. in folklore at Indiana University in 1962. He taught briefly in the English Department at the University of Kansas before moving in 1963 to the Department of Anthropology at UC Berkeley, where he spent the remainder of his professional career. Only a year after receiving the doctorate, he had already published 29 articles, most of them in major journals such as the American Anthropologist, Journal of American Folklore, Southwestern Journal of Anthropology, Ethnohistory, Current Anthropology, and American Imago. The remarkable range and pace of his publications continued unabated until his untimely death. In more than 250 scholarly articles and book chapters and nearly 40 books, Alan Dundes explored an impressive array of folklore genres, including tongue-twisters, mnemonic devices, myths, folktales, proverbs, legends, folk beliefs, festivals, fairy tales, riddles, games, graffiti, verbal duels, jokes, wellerisms, and ethnic slurs. He expanded the field of folklore in at least three major ways: first, by forcefully demonstrating that folklore does not fade with time but rather that it constantly changes form and function and is ever present; second, by showing that folklore exists not only among poor, exotic peoples but also within every segment of society, including elites; and, third, that folklore is not necessarily transmitted and expressed orally but that it manifests itself through writing as well. Dundes, together with coauthor Carl Pagter, proved this last point partly through a series of five extensive collections devoted to photocopier folklore. He was also an indefatigable editor. His case books, as he called his collections of essays about various folklore forms, always brought together the expected and the unexpected, and in themselves they define their subjects and, through the choice of essays included (and left out), they constitute independent contributions to those subjects. He also facilitated publication of folklore work and folklore tools in his capacity as editor of various series. Working alone and in collaboration, Alan Dundes explored the folklore of peoples as diverse as the Choctaw, Cheyenne, and Seminole; Africans, Jews, and Moslems; Germans, Italians, Lithuanians, and Turks; and, of course, North Americans, to whom he devoted consistent attention over the years. At the end of his life, he was deeply engaged in a folkloristic study of Japanese national character. He insisted that folklore be theoretical, and made major contributions to structural, historical, and psychoanalytic interpretations of folklore. Everything he produced was infused with analytical richness, interpretive originality, and an enviable battery of source material. He was unfailingly interesting and – as anyone who knew him can attest – humorous. Alan Dundes was an inspired and dedicated teacher, at both the graduate and undergraduate levels. He drew hundreds of students to his introductory folklore course every year and effortlessly made any large lecture hall feel like an intimate seminar. He was the driving force behind the formation of the Folklore Graduate Group and served as its graduate adviser from its inception until the day of his death. He also chaired the group for nearly all that time. He directed virtually all of the 137 M.A. theses in folklore completed through spring 2005, on an enormous variety of topics, and many of these students went on to earn Ph.D.s at Berkeley and elsewhere and to enjoy productive careers in the field of folklore. 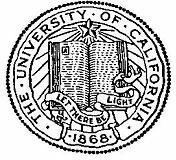 Those who continued their studies at Berkeley did so either in anthropology or through the interdisciplinary Ph.D. program of the Graduate Division. Enough students followed the latter course that part of the folklore of the Graduate Division was that about a third of all the interdisciplinary Ph.D.s granted at Berkeley were directed by Alan Dundes, all with folklore as part of the field of study. In 1994, he won the UC Berkeley Distinguished Teaching Award, an award he richly deserved for the excellence of his teaching at all levels. He was also instrumental in bringing a large number of international folklorists to Berkeley to teach in the folklore program and in general contributed greatly to international cooperation in the field of folklore. When Alan Dundes came to Berkeley in 1963, he joined a faculty that was already distinguished in folklore. Five Berkeley faculty members had served as president of the American Folklore Society, and two others had been elected fellows of the society. 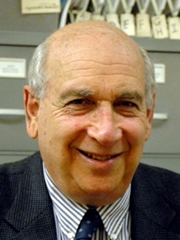 Alan Dundes built on the work of his Berkeley predecessors and colleagues and took it forward in enormously fruitful and engaging ways. Like them, he was elected a fellow and served as president of the American Folklore Society. He was also the first folklorist elected to the American Academy of Arts and Sciences (2001), and in 1993 he won the Pitrè Prize for lifetime achievement in folklore. His internationally known and acclaimed work, as well as his teaching and service to students, colleagues, and the profession, came to define folklore at Berkeley. Alan Dundes was a supportive, responsible, and hardworking colleague, and contributed selflessly to the advancement of his department and the field of folklore. He leaves a wife, Carolyn, three children, and six grandchildren. His death constitutes an incomparable loss to his family and colleagues, as well as to the academic discipline to which he devoted himself so passionately.